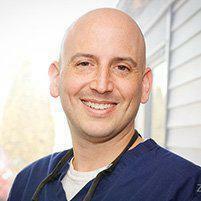 Dr. Matthew Spatzner has extensive experience in treating urgent care dental needs, including toothaches and broken restorations. At Montville Dental Associates in Montville, NJ, patients receive state-of-the-art care to relieve symptoms and prevent further damage. The office also offers same day emergency treatment! What type of dental issues need urgent care? Healthy adult teeth that are knocked out often can be replanted in their sockets. The key is to seek care as soon as possible and to carefully preserve the tooth root. Try to place the tooth back in the socket if possible, and if that’s not possible, place it between the cheek and gum or in a glass of milk or water. Be careful not to touch the root since root damage can prevent the tooth from being replanted. Call the office immediately for further instructions. My tooth pain went away; do I still need to call the office? Yes; some types of tooth pain can be transient, especially if pain stems from a mild infection, crack or fissure, or a very small cavity, and ignoring these issues can lead to more serious issues. It’s always wise to call the office to determine if an urgent care office visit is warranted. Having routine dental checkups and cleanings every six months is one of the smartest, simplest and most cost-effective ways to prevent dental emergencies. Teeth and gums that are strong and healthy are less likely to become damaged, and damage that does occur can be easier to correct when teeth and gums are in good shape. Don’t chew on hard candy or ice and don’t use teeth as prying tools. Finally, wear a mouthguard when playing sports to protect teeth and soft tissues.